What I love most about writing Women’s Fiction is the ability to focus on a theme and build on it, exploring the reality of life – the good and the bad. It’s putting my characters through an emotional gambit and allowing readers to empathize and root for them as they fight their way to happiness. But, Women’s Fiction isn’t just about romance. It’s about relationships with friends and family. It’s about a woman’s struggle to succeed in her career. It’s about sacrificing to please those around her, yet fighting for what she really wants. It’s about self-discovery. It’s about love. The consequences of past decisions can ruin your future. This statement is the catalyst for events faced by the heroine in the latest release of The Butterfly Memoirs Series, Lonely Heart. Kaitlyn Rodgers is at a crossroad. She’s six months pregnant and estranged from the father of her child. An offer for the job of her dreams sits on the table, and her younger sister has moved in with her in hopes of escaping her own troubled past. Resigned to raising her child alone, Kaitlyn befriends her mechanic, Antonio Rodriguez. As their relationship grows, so does love, the one thing she figured would never happen again. But, as life would have it, secrets that were meant to be hidden come to light. And when those consequences threaten to ruin not only her life, but also the lives of the ones she holds dear, decisions must be made. Making the wrong one will ruin everything. I threw down my pencil and tossed the costume sketch aside. The first meeting with the costume department of my new job was one week away. For the past week, I had taken notes from the information provided by the director. I had a week to create a theme for the cast’s wardrobe for the show’s opening sequence. My ideas would in turn be relayed to my team. From there we would hit the ground running. I read the script for the pilot and the first three episodes. Each scene was broken down by characters and action in the scene to determine what wardrobe would be needed. That included everything from shoes to nose rings. Then came scouring the used wardrobe department for items or costumes that could be recycled before shopping for new ones. I assisted my previous boss with this type of detail so this was nothing new. The only problem was being unfamiliar with the new set, studio, and members on my team. Now it was my vision, my interpretation of what the show’s writers and producers wanted. Everyone would be looking at me for direction. Talk about stress. A high pitched cry came from the corner of my room. My attention immediately went to the crib. How in the hell could I lead a team of experienced adults, when I couldn’t appease my three month old daughter? Chloe bawled, her legs kicking and arms flailing. For the past hour, I did everything in my power to help her feel better, but nothing worked. A diaper rash irritated her beyond belief. The cream wasn’t working fast enough. The little relief it provided did nothing for the fact my daughter didn’t want to lay in the crib, she wanted to be in my arms. With my deadline approaching, I didn’t have time to pamper her. Frustrated beyond belief, I yelled. Her cries mixed with my own. I hated myself, failed my daughter, and realized I was not the person for the job…either of them. Every decision made in the last year culminated into one big disaster. I pulled myself together and walked over to the crib. My red faced baby now cried so much her voice was hoarse. Chloe calmed and turned her head to my breast the instant she was in my arms, wanting to suckle. It wasn’t from hunger because she’d been fed an hour ago. I slipped the pacifier into her mouth. Not wanting it, she spit it back out, her tiny lip trembling as she worked up another cry. How in the world could I possibly balance being a mom, my new job, and anything else life threw my way? It was too late to change my past. I could only deal with the repercussions of my decisions. I refused to end up like my mother. I would not become the emotionally fucked up woman who withdrew from her daughter and gave up on life. Giving up on everything would mean leaving Chloe alone for the rest of her life. No siblings. No mother. No father. I didn’t inform him of his daughter’s birth until we were discharged from the hospital. With my medical issues up in the air, the last thing I needed was additional stress brought on by whatever his reaction would be. Since then, he’d only visited her twice. Once he came with flowers. He appeared uncomfortable and didn’t stay long. The next time, he came with a box of diapers and gave me fifty dollars as if she was someone else’s baby. Money meant nothing. Right now, Luke needed to be her father. Needless to say, the second visit had been as brief as the first. My daughter’s life was screwed up and it was my fault. Unable to contain my emotions, my tears started mixing in with my baby’s. 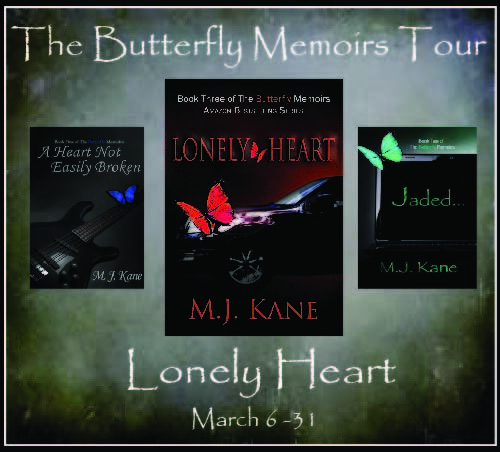 Look for the The Butterfly Memoirs Series and the latest release, Lonely Heart! Instead of planning her wedding, Kaitlyn Rodgers is facing motherhood alone, the pressures of a new job, and caring for her rebellious younger sister. What should have been the happiest time of her life turns into one stressful event after another. After watching his father struggle to raise a family by himself, auto mechanic Antonio Rodriguez refuses to follow his father’s footsteps…even if it means a lifetime of loneliness. When Kaitlyn’s car breaks down, though, Antonio goes beyond auto repairs to take care of her needs. An unexpected friendship begins, allowing them a glimpse of happiness…until the father of Kaitlyn’s child returns, ready to offer her marriage and a future. But at what cost? 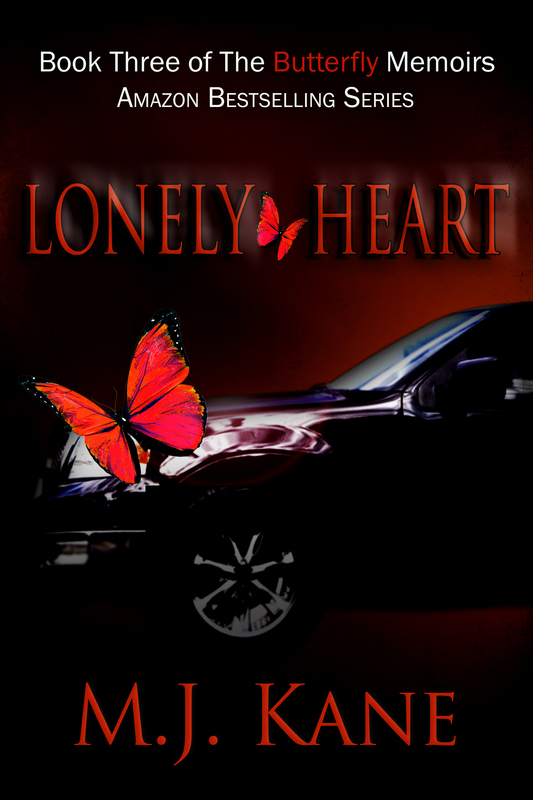 M.J. is giving away an ebook copy of Lonely Heart! Enter the Rafflecopter contest for your chance to win! Contest ends April 1st! M.J. Kane stumbled into writing. 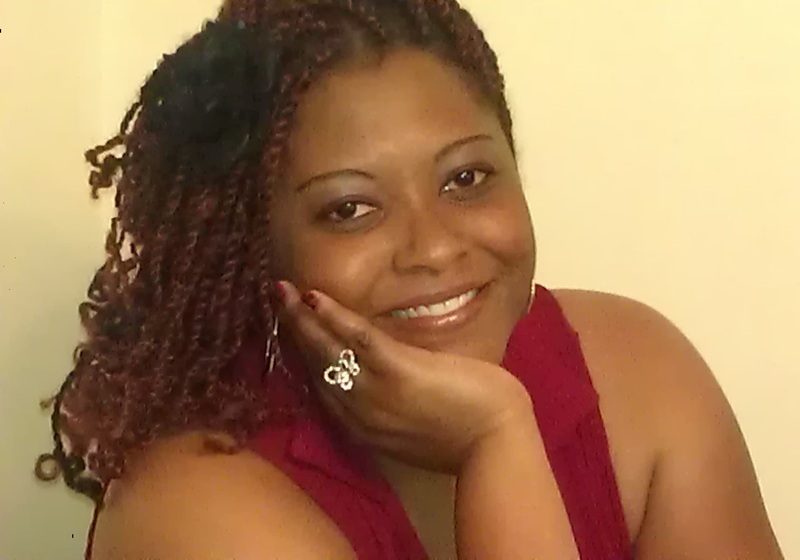 An avid reader, this stay at home mom never lost the overactive imagination of an only child. As an adult she made up stories, though never shared them, to keep herself entertained. It wasn’t until surviving a traumatic medical incident in 2006 that she found a reason to let the characters inhabiting her imagination free. Upon the suggestion of her husband, she commandeered his laptop and allowed the characters to take life. It was that, or look over her shoulder for men caring a purple strait jacket. And the rest, as they say, is history. Thank you for hosting me on the last day of my blog tour! Absolutely! My pleasure as always, MJ!